For $25 advance sale or $30 day of the event, you receive a commemorative wine glass for sampling up to 15 -2 oz samples of wine (per state regulations). 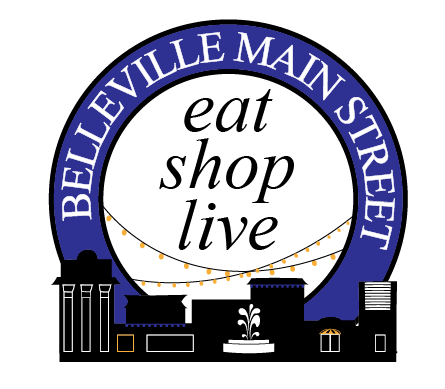 Follow the map to Belleville Main Street businesses to sample wine, view local artwork, and listen to music. Only 400 tickets will be sold! And to entice a few of your beer drinking friends, we will have a few beers available to taste as well! Once your ticket is paid, simply stop by the registration stop at Abe's Gourmet Popcorn (101 East Main) between 3:00PM and 6:00PM on November 3 to receive your wine glass and map.